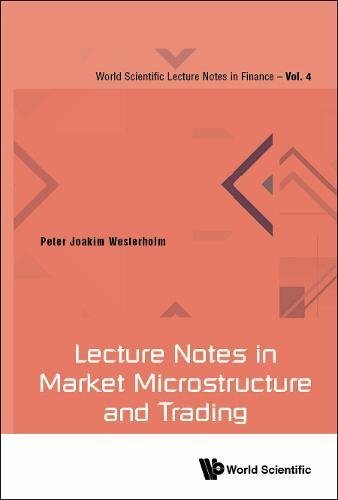 This book, written by Joakim Westerholm, Professor of Finance and former trading professional, is intended to be used as basis for developing courses in Securities markets, Trading, and Market microstructure and connects theoretic rigor with practical real world applications.Market technology evolves, the roles of market participants change, and whole market segments disappear to be replaced by new ways to exchange securities. Yet, the same underlying economic principles continue to drive trading in securities markets. Thus, the scope of the book is global, providing a framework that is relevant both for current market designs and for future markets we will see develop. It is designed to stay relevant in a rapidly evolving field.The book contains a selection of lecture notes through which students will gain an in-depth understanding of the mechanism that drives trading in securities markets. The book also contains another set of lecture notes with more advanced, research-based material, suitable for Honours or Master level research students, or for PhD candidates. The material is self-explanatory and can also be used for self-study, preferably in conjunction with assigned readings.